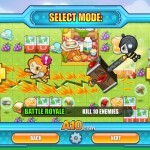 Two Player Action Demolition Upgrade Cooperative Click to find more games like this. 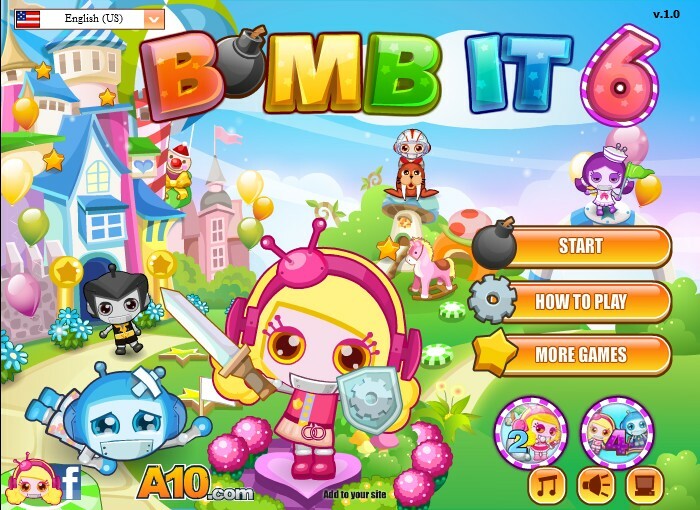 Bomb It 6 is the first installment of the popular game series. 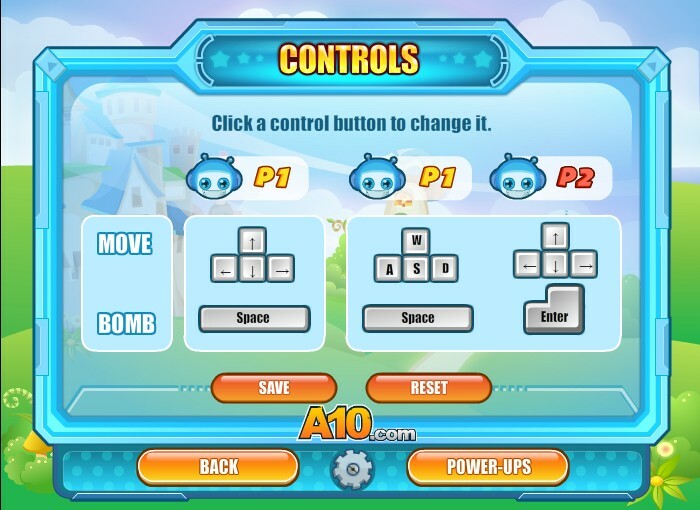 With various levels to complete, this will keep your eyes focused on the computer and your fingers working on the keyboard to complete the stages aiming for a high score. This can be a one player or two player game. 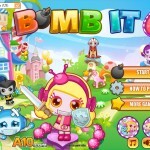 So whether you are playing alone or you are playing with a friend, you will have the best time playing Bomb It 6. You can choose from 4 different robots to use as your character: 2 boys, 2 girls. In this version, the developers have included some of your favorite power-ups from the previous version, as well as included a few new ones. Extra lives – if you earn extra lives during your game play, they are automatically added to your current number of lives. No need to use the number pad to activate.  Mind controller - you can control the minds of your enemies to make them stop in place to allow you to easily kill them. 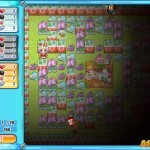 The developers realized that their Bomb It fans really loved the “push bomb” power-up from the past Bomb It versions – that is why they no longer consider it a “power-up”, but instead, allow you to use it at any time throughout the game! This version has combined some of the most popular scene maps from the previous 5 versions, and included some new ones! 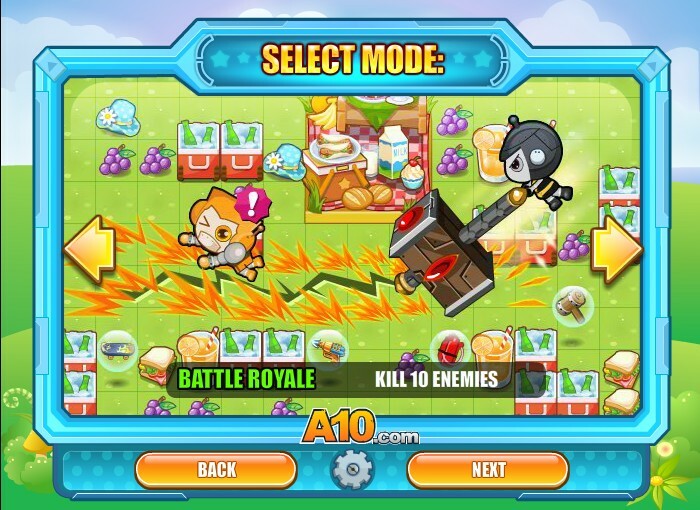 With each scene map, you can choose between 3 difficulty levels: Easy, Normal, and Hard. 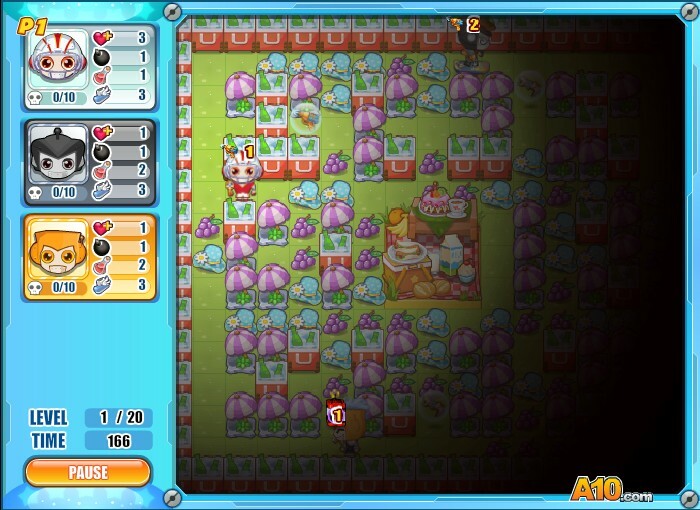 In addition to choosing the number of enemies you encounter, how many levels you wish to play for each difficulty level, and how many enemies you want to kill in each scene level. You can choose to play 3, 5, 7, or 9 levels, plus the bonus round where you can earn even more coins and have a chance to earn even more power-ups! In Bomb It 6, you can now turn your score into coins, which you can use in the Game Store to purchase new weapons, new vehicles, and even new outfits for your character to wear! In Bomb It 6, you can buy many of the same vehicles you loved from the past versions, as well as a few new ones! Vehicle selection includes: cars, motorcycles, quads, skateboards, bulldozer, and an anti-gravity suit! Use the anti-gravity suit to float over obstacles that stand in your way between you and your enemies! 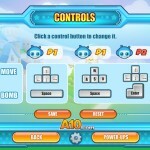 There are several settings you can change to make your gaming experience more enjoyable. You can toggle the game music on or off, toggle the sound effects on or off, toggle the graphics quality to low, normal, or high, and you can even select what country’s language you wish to read!